Driver training is obligatory under law and should ensure that your drivers are safe drivers and a valuable asset to your company. 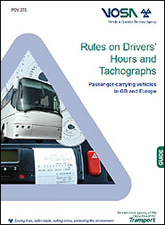 Penton Transport Management have been training drivers for many years, most notably within the realms of EU Drivers Hours Regulations (EC 561/06), Tachographs (EU regulation 3821/85), or as the legislation calls them 'recording equipment', and the most recent legislation that has required the need for training concerns the Road Transport Working Time Directive, which came into effect in April 2005. Quality driver training should not be considered as yet another cost implication to the 'bottom line'. You are obliged under law to train your staff, whatever their role within your company and although there is a cost implication to all training, there are also many benefits to be had from doing so, not least, Improved Company image, Improved Fuel Efficiency, Better Carbon Footprint and Safer Drivers. Prior to April 2015, if one of your drivers was stopped in a DVSA Roadside Check, fixed penalties could only be imposed in relation to offences which were being, or had been, committed on the occasion of detection. In other words, the offence needed to be committed at the time or immediately before the driver was stopped at the roadside. However, that situation changed in April 2015. 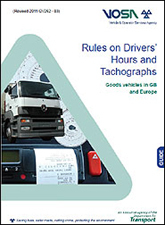 Following consultation, the Department for Transport (DfT) supplemented the legislation to permit historic drivers’ hours offences (for example where a chart from the previous week shows a daily rest infringement), it would be included in the Graduated Fixed Penalty Scheme. In fact the historical element of this action now goes back 28 days from the date the driver is stopped, with all offences found falling within the scheme and allowing the DVSA to issue the relevant GFPN or, if serious enough, to take matters further in a court of law. Taking into consideration the two paragraphs above, training could potentially become a key element in an operator retaining their operator licence at a public inquiry.